Nice to be feeling more dry season conditions kicking in. Still our start to the Dry has been somewhat wet, not that we mind the grass staying green for longer. Our members targeting Ironman Cairns and Ironman 70.3 Cairns are training the house down, not to mention those with our club championships in their sights. If you haven't yet experienced the Lake Bennett course, you are in for a treat. It's definitely our must do event of the year! 1. This is a member only event but please see new membership offer details below. 1. In conjunction with Triathlon Australia, we are now able to offer a very generous discount for those wishing to join up for the remainder of this season (2015/2016). 2. This will cover the upcoming Kerran Mudgway Memorial Club Championships, the NT Standard event and our Duathlon #2 at very low cost. 3. Please email darwintriclub@gmail.com for discount code details if you are currently a non member and wish sign up to participate at Lake Bennett as an individual or in a team. 4. Members - feel free to pass this on to any of your friends or family who have expressed an interest in doing our remaining events of our 15/16 season. 1. Hearing those who headed west for the Lake Argyle Swim experienced four seasons in one day. Photos looked spectacular. Moira Wigley & Ron Griep contested in a team of four this year and made podium again (3rd) the are Lake A legends! 3. Nicole Tisdale heads off to contest Ultra Trail Australia ultra marathon in the Blue Mountains national park this weekend. Good luck. 4. Awaiting amended results from XTERRA Malaysia where Rowena Eastick competed. Both Rob Brooks & Cath Hood dropped back to the sprint following illness. Hearing Belinda Townend competed in the Xterra Run. 5. Are you on Twitter? 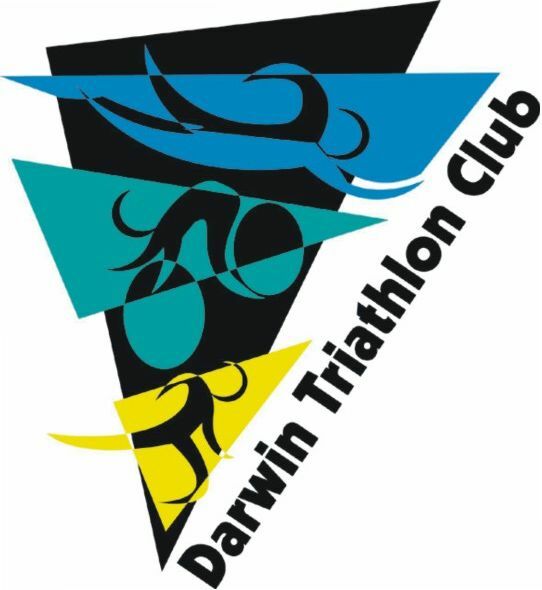 Follow us @darwintriclub. 7. Stork news - congrats to Clare & Liam Johnston on the birth of their son. 8. Great to see Stef Puszka back racing. 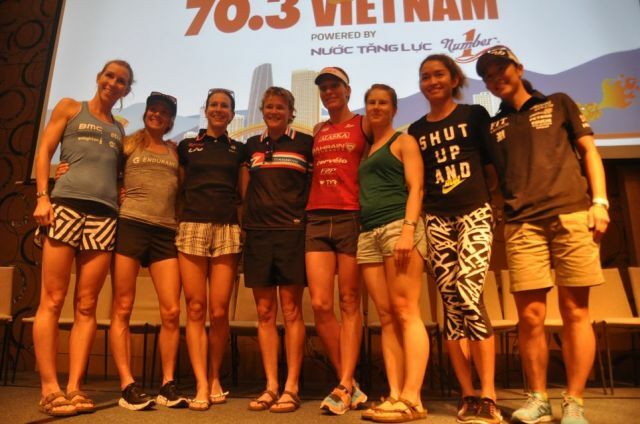 Stef's very happy to get her first event in almost a year done at Ironman 70.3 Vietnam. 9. Congrats to Hannah Johnston who qualified for Ironman 70.3 World Championships at Ironman 70.3 Vietnam. Hannah joins Kylie Scholz, Jac Crofton and Rachel McLean as qualified for Sunshine Coast. 10. Jamie Baldwin named in the preliminary sprint team for ITU Worlds, Mexico later this year. Congrats.